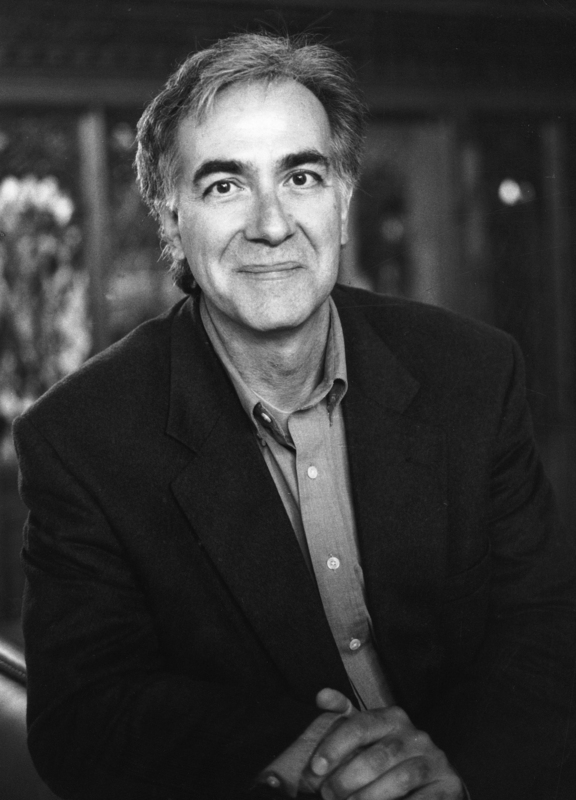 In his 2003 National Book Award–winning memoir Waiting for Snow in Havana, Carlos Eire narrated his coming of age in Cuba just before and during the Castro revolution. That book literally ends in midair as eleven-year-old Carlos and his older brother leave Havana on an airplane—along with thousands of other children—to begin their new life in Miami in 1962. It would be years before he would see his mother again. He would never again see his beloved father. This reading group guide for Learning to Die in Miami includes an introduction, discussion questions, ideas for enhancing your book club, and a Q&A with author Carlos Eire. The suggested questions are intended to help your reading group find new and interesting angles and topics for your discussion. We hope that these ideas will enrich your conversation and increase your enjoyment of the book. In Learning to Die in Miami, Carlos Eire explores the consequences associated with the emergence of a new American identity at the expense of the “death” of his old Cuban self during the Cuban Revolution. Along the way, Carlos must learn to navigate the differences between his past and present lives—redefining his relationship with his distant parents, mastering a new language, and adopting foreign customs and traditions. As Carlos is plagued by intense bouts of loneliness and abandonment while struggling to find his footing in his new homeland, readers cannot help but be moved by Eire’s compelling first-person account of immigration in America. Learning to Die in Miami is a universal story of not only the pain of letting go, but also the rewards it ultimately brings. Re-read the poem by Emily Dickinson at the beginning of the book: “Death is a dialogue between/The spirit and the dust…An overcoat of clay.” Why do you think Carlos Eire chose this poem to open his memoir? Describing his experience of arriving in Miami as finally crossing over into “the real world” (p. 9), Eire then perceives Cuba as part of “some other dimension.” (p. 9) What first impressions of the United States may have inspired this perspective? Throughout the memoir, Carlos Eire refers constantly to the father and mother he left behind as Louis XVI and Marie Antoinette. Why did he choose these nicknames? Do you find them apt? Eire describes a popular Cuban comic radio show called “La Tremenda Corte” (p. 36), which became unavailable under the Castro regime. How did the plot of this show compare and contrast with the events that were occurring in Havana during when Eire was growing up? Why do you think it was removed from the air despite its tremendous popularity? One of the themes Learning to Die in Miami explores is the relationship between parents and children. After separating from his parents, Carlos writes poignantly, “We had letters, yes, but letters are a very poor substitute for parents when you’re eleven…children need to press the flesh and to have mom and dad there…without that sort of contact mom and dad become ciphers, mere concepts.” (p. 44) How did his time with his various foster families shape his experience? Were any of them real substitutes for his parents? Eire experiences an intense conflict of personal identity during his first three years in America. How does Eire progress from identifying himself as Carlos, Charles, Charlie, Chuck, and then, finally, Carlos once again? What events in his life were pivotal toward shaping his method of self-expression? Among the many emotions that Eire struggles with as he adapts to his new homeland is “the feeling of being utterly alone and abandoned forever, of being stuck with no one but [himself] for eternity. The Void.” (p. 91) When does the Void first enter Carlos’s life? What does the Void represent to him and how does he handle it? Does he ever ultimately overcome the Void? Why do you think Eire describes Christmas as “the darkest day of the year?” (p. 118) What was Eire’s relationship with this holiday that usually embodies tradition and joy? One of the terms Eire comes up with to describe his “death” in Miami is “self-squashing.” (p. 163) How does this term describes his situation? Adding to the richness of this memoir is how Eire plays with time throughout the memoir, layering his adolescent experience through both young and more mature eyes. How different would Learning to Die in Miami have been if he had not used this storytelling technique? How does Eire’s experience of leaving Cuba behind mold his opinion of President John F. Kennedy as a “knucklehead (p. 191)?” Do you feel that his attitude of bitterness toward the president is justified? In what way does religion play a role in the narrative? 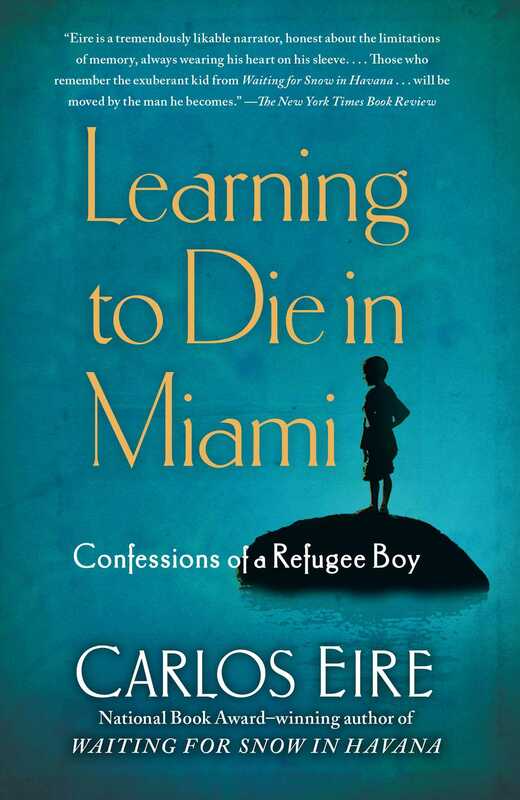 Learning to Die to Miami is a brilliant follow up to Carlos Eire’s first memoir, the National Book Award–winner Waiting for Snow in Havana. Read Eire’s first book and discuss how the two narratives ultimately come together to form his story. Eire makes references to Plato’s cave during his first few years in America. As a group, read Plato’s Allegory of the Cave in The Republic and discuss how the various stages of the allegory correlate with the stages of Eire’s journey. One of the most important influences of Eire’s coming of age is Thomas à Kempis’s The Imitation of Christ. Select passages from this classic and discuss how they relate to or have influenced your own lives. Television shows such as The Twilight Zone, The Andy Griffith Show, and The Beverly Hillbillies were an important part of Eire’s childhood identity and his experience of America. What television shows had a direct effect on who you are today? Where did you encounter Emily Dickinson’s poem at the beginning of the memoir? Why did you choose to open your memoir with it? I discovered Emily Dickinson in high school, about forty-four years ago. Although I had a tin ear for poetry back then, I knew instinctively that her poems had something that was lacking in most of the other poetry that was assigned to us: an intuitive grasp of paradox, and of our deep-seated longing for transcendence. Over time, as I matured, her poetry stayed with me, and especially this poem, since I have always been drawn to the conundrum of our mortality. As I was writing my Very Brief History of Eternity two years ago, the poem surfaced many times, both in my mind and in my reading. So, when I began writing Learning to Die, I didn’t have to search for the perfect opening epigram. It had been there all along, guiding my thinking. It seems perfect, not just because it influenced me, but because it sums up the central theme of this book: that of the immortality of the soul. In this memoir we see your struggles defining yourself as a Cuban living in America. Today, do you consider yourself Cuban American, Cuban, or American? Why so? Do you still consider yourself a refugee? I’m always amazed when anyone asks me this question, for the chief assumption behind it is that one’s identity can be neatly packaged, and one can simply be either this or that. I realize that for someone who has spent their entire life living in a single culture, it must be hard to imagine what it feels like to be an immigrant, and to absorb cultures other than the one you were born into, but, in many ways, asking this question is a lot like asking whether the tongue is for speaking or for tasting. Many things in life and in nature—Like the tongue—cannot be explained in terms of either/or. Being an immigrant in the United States is not an either/or proposition, but rather a both/and. No one ever ceases to be part of the culture from which they came, save for infants who are adopted and taken to another country shortly after birth. Immigrants add other layers to their identity, other “selves,” and depending on age, personality, and circumstances, these layers or “selves” assume all sorts of different configurations in each individual. I try to deal with this complexity in this memoir, and with the fact that one’s identity is always fluid in exile, and that there are times when the different selves converge or collide. Immigrants know first-hand that the “I” or “me” is not simple or uniform: it’s a riotous mess. So, to finally answer the question point blank: I have a complex identity. Of course I’m American. Of course I’m Cuban. Of course I’m Cuban-American. I’m also Spanish and European, for my grandparents were immigrants from Spain and they and my parents and relatives always reminded me of the fact that I was not really Cuban, but a displaced European with various identities: Gallego, Catalan, Basque, French, and Irish, with the constant hint of some distant Jewish converso ancestry. And, to top it off, as a historian, my professional self is wholly enmeshed in European history and culture: my research takes me to Europe constantly, which oddly feels like home, and, at the very same time, like a double exile. I am still a refugee, too, and will continue to be one until Castrolandia ceases to exist. I came to the United States to escape from a nightmarish existence. As long as my place of birth remains enslaved by an oppressive totalitarian regime and the nightmare continues, I cannot return, and therefore remain a refugee. Throw into this bargain the fact that the Cuban authorities have pronounced me an “enemy” of their so-called Revolution, and that my books are banned in my homeland, and my refugee status is doubly confirmed. What was the process behind writing this memoir? Did you rely solely on your recollections, or did you have some kind of journal you kept during the time? Were there any people you interviewed to enhance your storytelling? I followed the same process as in Waiting for Snow: I wrote straight from memory, late at night, over the space of three months, during my summer break from teaching. No journals. No notes. No research. No interviews. I did share a few stories with my brother Tony as I was writing, and sometimes he had some details to contribute. But even this doesn’t count as research, for we talk on the phone every night, and often reminisce about the past. It’s an ongoing thing, our connection with a common past. Norma and Lou were the first foster parents who truly made you feel welcome in America. How did their Jewish influence and traditions help you to integrate with the American culture? How did their love and nurturing, despite coming from a different religious background, influence your beliefs? Even though I lived with them for only nine months, Norma and Louis Chait had a profound influence on me, so profound, in fact, that it is difficult to measure it. This question is related to number 2 above, the question of identities. I knew they were Jewish and American. Their parents were immigrants from Eastern Europe. And they were New Yorkers, too. This mixture of identities became the norm for me: this is what it means to be an American, to be many things at once. The fact that they not only respected my faith, but forced me to observe it may be the most significant thing of all. It put religion in another dimension for me, at that early age. Their love and nurturing proved to me, in the most practical way possible, that real goodness transcends religious beliefs, and that differences in religion do not necessarily cancel out faith, but can actually enhance it. Above all, they taught me to respect other faiths, and they did so by example rather than by lecturing me about it. They also showed me that love and self-sacrifice and concern for others matter more than doctrines or rituals, yet, at the same time, they exposed me to the significance of doctrines and rituals by sending me to church and taking me to bar-mitzvahs. In the Gospel of John, Jesus says that God is love. The other gospels also affirm that the highest commandment is love of neighbor. These Christian values are derived directly from Judaism, one of the most philanthropically-inclined religions on earth. In Waiting for Snow in Havana I refer to Norma and Lou as a proof for the existence of God. I still think of them this way. My professional interest in religion, and especially my interest in the religious differences that emerged in the sixteenth century, derive from my experiences in the Chait household. Besides your struggle to get rid of your accent, were there any other remarkable difficulties that you recall which perhaps you didn’t express in your memoir? Yes. In this book I only provide brief glimpses of another great difficulty that I and every Cuban exile face: our constant encounter with ignorance about Cuba, and all of the monumentally stupid stereotypes that dominate American thinking about Cuba, pre- and post-Castro. Having to contend with people who see you as some sort of backward primitive from an inferior culture is just the tip of the iceberg. As I point out in this book, I encountered the very source of this ignorance in my school textbooks, all of which were filled with incorrect and very negatively-biased information about Cuba and Latin America in general. So, it is not really a question about ignorance that stems from lack of information, but rather of ignorance derived from false information, which keeps being drummed into young minds. Many Americans still harbor all sorts of prejudices toward “Hispanics” because their exposure to the full complexity of the Hispanic world is limited and misinformed, and most Americans aren’t really aware of the fact that their culture has constructed an artificial category – “Hispanic”—which is extremely broad and a gross distortion of reality. Chief among the errors committed by Americans is that of conceiving of “Hispanic” as a race, or of all “Hispanics” as the same, more or less, despite the fact that there are eighteen different Spanish-speaking countries in Latin America, each with their own particular ethnic mixture and culture, not to mention one European country in which Spanish is the official language, but in which other languages are also spoken. Whenever I am confronted with any document or news piece in which “Hispanic” is conceived of as a “race” my head feels as if it’s going to explode, for that is so totally wrong. Whenever this happens, I am also reminded of the one time that the mother of one of my high school friends expressed her prejudices openly, saying, with a sigh of relief, “oh, but you look just like all the other boys,” when she first met me. And that is just one such incident, though specially poignant; I’ve lost count of how many times I’ve been told that I don’t look like a Cuban. And it’s not just Americans who harbor these prejudices. Several of the European publishers of Waiting for Snow refused to include any of my childhood photographs in their translated editions because, as one of them put it, I don’t look Cuban enough. But all of this is a minor irritation when compared to the real torture that comes when Cuban exiles meet Americans, Canadians, Australians, Europeans and others who admire the Castro brothers and their so-called Revolution, and lecture us about the wonderful achievements of that murderous, soul-crushing regime from which we’ve fled. Again, I’ve lost count of how many times I’ve had to confront this ignorance, which always includes hostility towards me, personally, for those who praise the Revolution tend to see me and all other exiles as “oppressors” who were justly driven out, selfish bastards who simply didn’t want to share their possessions with the poor. The guiding principle undergirding such prejudice is usually called “social justice,” a very loose concept that refers to the redistribution of wealth in Third-World countries, which are all imagined as equally corrupt and poor, and as peopled by non-whites. This hideously misguided conception of “justice” is itself derived from a host of other prejudices, including that which I like to call the Mussolini principle, which is the assumption that underdeveloped or inferior nations need strong leaders and draconian measures in order to function properly. So, just as the Italian fascist dictator Mussolini was constantly praised in Europe and North America for finally making the trains run on time in unruly, darker-skinned Italy, Fidel Castro and his henchmen are praised for finally bringing health care and education to the even unrulier and darker-skinned Cuban people. The chief assumption behind such praise, of course, is that such people are essentially different, and congenitally incapable of enjoying the same kinds of rights and freedoms as more advanced light-skinned Europeans and Americans. Another wrong assumption that guides such thinking is that Cuba was a Third World country before Fidel came along and “improved” it. The real truth is just the reverse: on many accounts, Cuba was on a par or ahead of many European countries in 1958, and ahead of most other Latin American nations. Nothing proves this more convincingly than the fact that between 1900 and 1958, over one million Europeans migrated to Cuba, seeking a better life, and between 1959 and today, over two million Cubans have fled from the island while no one, from anywhere, has migrated to it. This glorification of Castrolandia is pervasive, and oddly enough, the higher one goes in the social scale here in America, the more one is likely to encounter it. In my profession, it is absolutely impossible to escape it, for most academics—though bright and well educate—are predisposed to champion the Mussolini principle unflinchingly and unquestioningly when it comes to Cuba and Latin America in general. Seven years ago, for instance, the University of Wisconsin revoked an invitation to speak they had offered me earlier because, as the dis-invitation email put it—I would represent “the unjust oppression of the Cuban people by the exile community.” Four years ago, when Fidel Castro fell gravely ill, I was approached by the Op-Ed editors of the New York Times, and asked point-blank if I would be willing to condemn my fellow exiles who were celebrating Fidel Castro’s imminent demise on the streets of Miami. As the editor put it to me: “we don’t think these revelers are right; after all, Fidel Castro allowed them all to leave with his blessing back in the early 1960's.” When I proposed a different essay, in which I would evaluate Fidel Castro as the ultimate Machiavellian prince, the editors said that “would not be right,” and sent me packing. In essence they were not interested in my opinion, but merely looking for a Cuban who would express their wrongheaded, unjust opinion. And when I wrote an essay exposing the duplicity and bias at the Times, no other newspaper in the United States would publish that essay. Among the many ways in which we Cuban exiles encounter such prejudices and blatant ignorance none is more constantly irritating than that of seeing the face of Che Guevara emblazoned on t-shirts and all sorts of merchandise. Che was Castrolandia’s chief executioner, the very embodiment of ruthless slaughter, the exact opposite of the idealistic hero so many people take him to be. Yet, I and other Cuban exiles constantly run into these bitter reminders of the world’s foolishness, and of the racially-based prejudices which allow falsehoods to endure and turn into myths. The depth and breadth of such ignorance is staggering, and very troubling, especially for a historian. When falsehoods become history, and psychopaths like Che are turned into saints and pop icons, the whole world is in trouble, not just Cuban exiles, for then we are all one step closer to George Orwell’s 1984, or already in it. You always had the desire to come to America even at a young age; was there anything in particular about America that you were eager to experience? I was eager to experience everything, not just something in particular. As I point out in this book, the United States had projected itself into my consciousness through its films, television shows, comics, and toys. It was the “Real” world, where nearly everything important took place. In my early childhood years, up to 1959, I was aware of the fact that the U.S. was more stable than Cuba and that there was no cretin running the country, like Batista, and no need for a violent revolution across the Florida Straits. And, then, after Batista left and Fidel made everything worse, the U.S. began to look even better to me. As the repression increased under Fidel in 1960, and as his policies drove Cuba back into the stone age, economically, intellectually, and technologically, the U.S. became even more of an ideal Utopia in my eyes. So, of course, I longed to go there, and not just experience it, but live in it. Do you feel that Spanish-speaking people living in America today are getting too comfortable with having translation readily accessible to them, reducing the urgency of learning English and perhaps progressing farther and faster through American society? Yes, I think that Spanish-speaking immigrants are digging a deep hole for themselves, collectively, by clinging so steadfastly to Spanish in every way. America as a whole is helping with the digging, too, and especially those who define and guard political correctness. This sad mess resembles the dysfunctional relation between addicts and the people who enable them. What the enablers and the addicts won’t admit in this case is that the only way to gain equality in the United States is to be fluent in English. This is how every other immigrant group has climbed its way up. And that doesn’t just apply to the past: it is still happening, with immigrants from places other than Latin America. Right now, here at Yale University, 18 percent of our undergraduate students are Asian, and most of them are first or second generation. Asian immigrants don’t insist on being addressed in their languages the way Spanish-speakers do, and they always ensure that their children have full command of English. Imagine if Asians insisted on bilingual everything: “For Cantonese, press one; for Vietnamese, press two; for Korean, press three,” and so on. Imagine if Jews, Poles, and Italians had done the same a century ago. “For Yiddish, please press four.” How many of our undergraduate students at Yale are “Hispanics”? Only between one and three percent. And many of them are third or fourth generation. The language issue alone is not responsible for this disparity, but it contributes to it significantly. I am angered by bilingual signs in Spanish (many of which are grammatically incorrect, anyway), phone lines in Spanish, and especially by schools that stress bilingual education. All of these accommodations are wrong, and extremely prejudicial to Spanish-speaking immigrants, in the long run. As I say in this book, while this attitude persists, Spanish-speaking immigrants will continue to be second- or third-class citizens, and to be perceived by the rest of the population (including immigrants from other places) as deserving of nothing other than the lowest place at the bottom of the heap. What is your view on Arizona’s stringent law on immigration? Fortunately, this is a question that will become increasingly irrelevant with the passage of time, as the U.S. comes to terms with the lunacy of current immigration policies. Today, in 2010, this Arizona law has become a volatile issue, and it has caused tens of millions of knee-jerk reactions that are guided by emotion and ideology rather than reason or a knowledge of the facts. Two factors drive illegal immigration into the U.S. from Mexico and Central America, and both are economic: the need for cheap labor on this side of the border, and the relatively poorer economies south of the border. It’s a basic supply-and-demand question. Not many in the government or the news media want to admit this, but the U.S. has lost control of its southern border, and of the lowest rung of its labor force. So, it’s the marketplace that is driving this immigration, rather than government policy. The market and the law need to be brought into greater harmony. Perhaps a guest worker program, like those in place in Europe, would be in everyone’s best interest. Unfortunately, things are very messy right now. The current flap over the Arizona law—which allows police to ask for immigration papers from anyone suspected of a crime—is an irrational response to an eminently reasonable measure. The law in question does not call for random checks or racial profiling. It simply puts into effect at the local level what is already the law of the land: the identification and deportation of illegal aliens. And it actually does so within limits, for its intention is not to round up all illegal aliens, but only those who might be breaking the law. I am not opposed to this law, or offended by it. What really offends me is the way in which this very reasonable policy is being opposed, and how this controversy only helps to perpetuate the notion that “Hispanics” are hapless victims, or helpless, inferior people who are so incapable of taking care of themselves that they can’t even be expected to play by the same rules as everyone else. The real solution to the problem is not the abolition of this law, but rather its enforcement, coupled with the overhaul of the current system, which allows for uncontrolled immigration. What are some other memoirs that have inspired you? Surprisingly, very few memoirs have inspired me. In fact, I hardly ever read memoirs, save for those from the distant past, in my work as a historian. At the top of the list is the ultimate memoir, which is also one of the oldest of all: the Confessions of Saint Augustine, written in the late fourth century. But Augustine skips over his childhood and adolescence, devoting only a few pages to that period of his life. What inspired me, then, is not how he thinks about his earliest years, but how he places all of his existence into a larger metaphysical and religious framework. His honesty is also exceptionally inspiring, for he is all too painfully aware of his worst faults and makes an effort to come to terms with them through his writing. It’s a book I can read over and over again, and always learn something new from. I assign it to many of my classes. The other items on my list are not memoirs, but rather novels that might as well be memoirs: Mark Twain’s Tom Sawyer, Charles Dickens’ David Copperfield, Guillermo Cabrera Infante’s Tres Tristes Tigres (Three Trapped Tigers in English). One semi-autobiographical novel in particular taught me how to see past, present, and future as interconnected plot lines: Kurt Vonnegut’s Slaughterhouse Five. One quasi-autobiographical film in particular had a profound effect on me: Fellini’s Amarcord. The last part of Plato’s Allegory of the Cave is the proposition of Returning to the Cave. Have you been back to Cuba since you left? Would you ever consider living there again? I have never returned to Cuba. I can’t. First and foremost, right now, I am a persona non grata, an avowed enemy of the State. The Cuban authorities would never allow me to set foot on the island, and if they did, I would end up in prison in just a matter of days, maybe even within the first hour. The place is such a monstrous living hell, so repressive, so much a negation of all of the principles proclaimed in the Universal Declaration of Human Rights, that I would be unable to keep my mouth shut. Speaking your mind in Cuba is illegal, a crime punishable by decades of imprisonment or death. This is why even before I wrote Waiting for Snow in Havana and was proclaimed a criminal by the authorities in Castrolandia I could never set foot in the place: I knew I’d be headed straight into prison. That is where I would have ended up if I had I stayed. I know that for certain, and so did my parents, which is why they felt compelled to send me away as quickly as possible. As if this were not enough, I can’t return for another reason: I think it is immoral to travel to places such as Cuba, which have no regard for human rights. To travel to despotic locations, no matter how exotic, or how deeply familiar, is one of the worst sins imaginable. First, one’s presence legitimizes the oppressive regime, making it seem somehow “normal” or on the same level as other countries. This goes for everyone, whether they were born there or not. Tourists, especially those who go to enjoy themselves or sample the local color, are guilty of the worst sin of all, for they not only lend a sheen of respectability to the oppressors, but fill their coffers and keep them in power. In essence, anyone who travels to a place like Cuba is an accessory to oppression and exploitation. Since the government controls absolutely everything in Cuba, every penny spent there goes directly into the pockets of the oppressors, and only a tiny fraction goes to the Cuban workers. It’s exactly the same setup as slavery, where the masters reaped the profits of captive labor. Moreover, a very strict apartheid is observed in Cuba, in which foreigners have access of all sorts of rights, facilities, and commodities which are denied to Cubans. In the 1980's the oppressive apartheid of South Africa was brought to an end largely because of the boycott enforced on that nation by the rest of the world. Cuba’s oppression and apartheid should—and could—be brought down in a similar way. Yet, in 2009, over two million tourists visited Cuba, to sun themselves on beaches that are off-limits to Cubans, to rent cars and jet skis, and to eat and drink to their hearts’ content in secluded air-conditioned hotels, while eleven million Cubans sustain themselves slightly above starvation on a government-controlled diet, deprived of all of those things that the tourists take for granted as rightfully theirs to enjoy. I don’t know whether to laugh or cry when I see that the many of the very same people who call for a boycott of Arizona because of one law that does not violate any human rights also call for a lifting of all travel restrictions to Cuba, a country which has been violating every human right for over fifty years, with abandon. I don’t see myself living in Cuba ever again. Cuba has changed way too much, irreversibly, and so have I. Home is here, in the United States. As for visiting, I will not set foot on the island again until the country is free of its current dictators and their henchmen, elections are held, and free enterprise and the free exchange of ideas are allowed. But I would love to visit a free, prosperous, tolerant, and intellectually vibrant Cuba some day, maybe contribute to its rebirth. The sooner the better.